I've been loving this bronzer this month as it adds a beautiful radiance to my skin. I've been using it in combination with my favourite NARS Laguna (NARS to contour and this dusted all over) and it makes the perfect bronzing combo. I like how it has four different bronze shades as they can be used individually or swirled together to create a multi toned glow. I love that it also doubles up as a highlighter as well as giving my skin a sunkissed look. I imagine this will be getting lots of use throughout the Summer months! 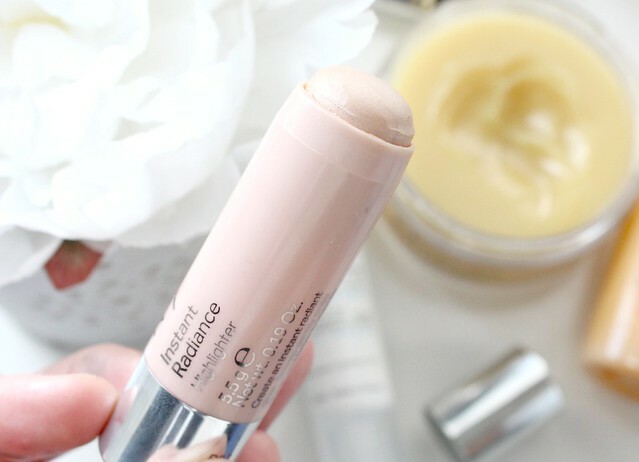 I've reviewed this product in full here so I won't ramble on about it too much but what I will say is that this product it absolutely perfect for day to day wear as it looks very natural but provides decent coverage a helps to control shine. Don't let the liquid to powder formula put you off as it isn't cakey or too powdery at all. I find this product is very subtle and undetectable on the skin but still makes it smoother and more radiant. I've been using this cleansing balm for the past few weeks now and I'm utterly in love with it. New favourite skincare product alert! I'm going to do a full review of this soon so I'm not going to say too much now other than its absolutely beautiful. The balm texture turns into an oil on contact with the skin and it melts away all my makeup, including heavy liner and mascara, in a matter of seconds. I've been using it in the evenings to remove my daily face and it works an absolute treat. I also love the scent - I feel like I'm having a mini salon facial every time I use it. Keep an eye out for my full review on this. 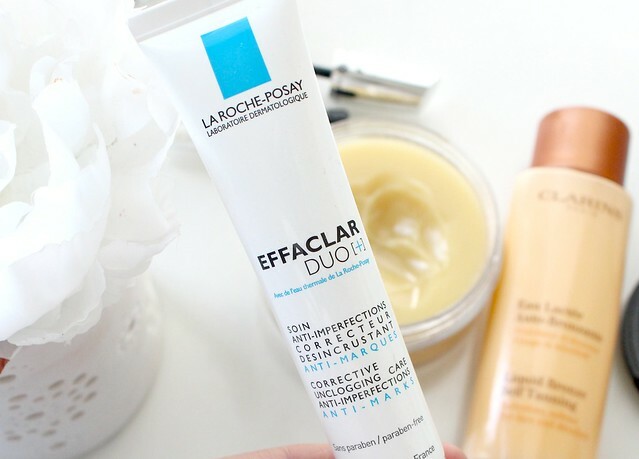 Another skincare product I've been loving recently is the La Roche Posay Effeclar Duo +. I'd heard so much about this product before I tried it but I never really understood what it was for or how to use it but after a little bit of research I discovered that this product is designed to be used as a daily moisturiser but also as a treatment as well. Its actually designed to help with blemishes and imperfections so it isn't something I'd use all the time but when my skin was having a recent breakout, this product worked a treat at getting my skin back to normal. 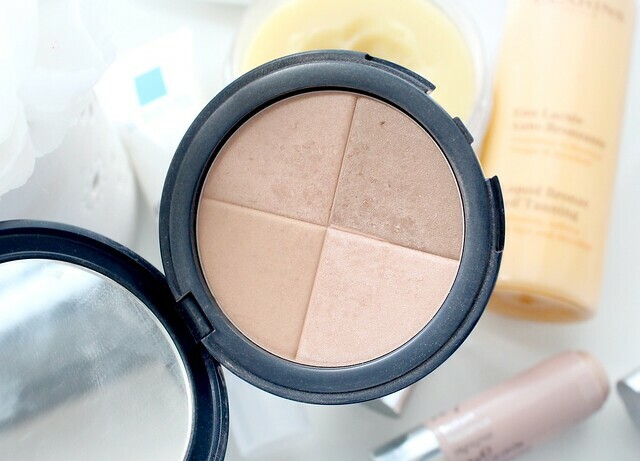 I also love using this in the mornings as its nice and light for wearing underneath makeup! I've already reviewed these new Bourjois lipsticks here but let me just tell you again how amazing they are. A lipstick that's applied as a liquid and dried to a matte but comfortable finish. The pigmentation is absolutely amazing and they have brilliant staying power too. They can be worn on their own matte or topped with a favourite lipgloss to add a bit of shine! I'm totally impressed - they're definitely my new favourite lip product and I haven't felt the need to use anything else since I got my mitts on them. I'm going to do a full review on this product soon as I absolutely love it and have barely used any other highlighter since I bought it. Unlike traditional powder highlighters that are applied with a brush - this No.7 Instant Radiance highlighter is packaged in a twist-up stick form and can be applied directly onto the skin wherever needed and blended in with fingers. I've been applying it to the tops of my cheekbones and down the centre of my nose and it works a treat at making my skin look glowing and healthy. The shade is perfect for my skin tone too - a champagne with hints of pink and silver. I find it very easy to blend, it doesn't interfere with my foundation/powder and it looks very natural too. It doesn't contain any glitter and instead the finish is a lovely sheen. Okay so I'm utterly rubbish at describing mascaras but this one has definitely been my favourite lately. It has a fat plastic wand and provides my lashes with tonnes of volume. 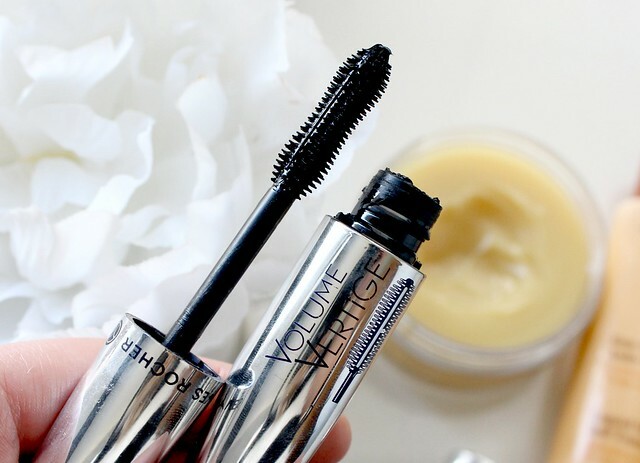 Its super black and makes my lashes looks 10x longer and thicker without being clumpy or flaky. I absolutely love the silver packaging too - so sleek and sophisticated! Summer is creeping up on us very quickly and that means its nearly time to bare some flesh and wear the Summer clothes that have been sat unloved in our wardrobes for the past six months. Now before I even think about bringing out my Summer wardrobe, one thing I desperately need is a tan. I'm a total casper naturally and without a bit of fake tan or a natural holiday glow, I risk looking a bit drained and wishy washy. However, fear not as the Clarins Liquid Bronze is my best friend at this time of year. Before I discovered this product I really struggled to tan my face, neck and chest area without it going streaky, too orange or noticeably fake looking. However, this clever white lotion has solved all my tanning mishaps and allowed me to have tanned skin that looks natural and glowing - its like a holiday tan in a bottle. I apply it to my skin morning and night when I want to give myself a bit of a tan and within a couple of days its given me a lovely sunkissed glow. I can't rave about it enough! Which products have you been loving this month? Have you tried any of these products? Adore the Clarins Liquid Bronze! Me too! Doesn't make me orange like a lot of products do! Oooh I wanna try this out now! It sounds like a god send! The N07 highlighter looks so amazing!! I need to try the Clarins liquid bronze, sounds epic! Some great products mentioned, really tempted to purchase the No 7 highlighter, the Liz Earle bronzer sounds amazing as well. 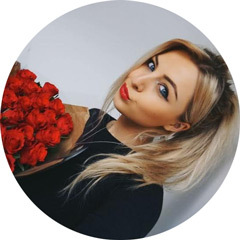 Really feel for you- anxiety is such a horrible and misunderstood thing, hope you feel better soon, and looking forward to reading your no7 highlighter review, that sounds right uptown street ! My sister has the effaclalar duo and I borrowed it off her and it was amazing! I love the bourjois matte lipsticks, they're amazing! 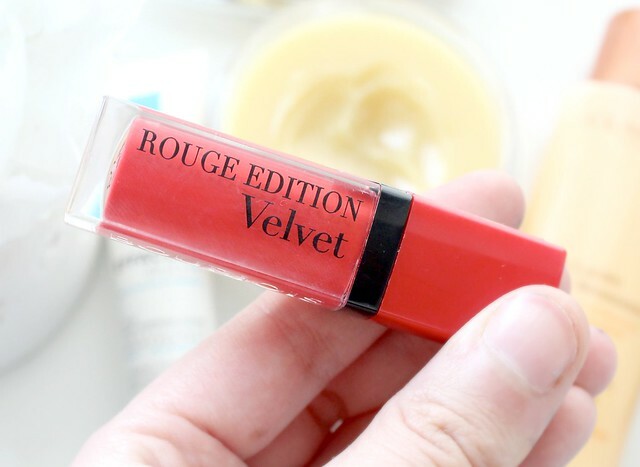 The Bourjois Velvet lipsticks have become my favourite too. I have one in the shade Frambourjoise and it's just so so pretty! I was kind of reluctant about the Benefit Big easy as I have drier skin so I tend to avoid liquid to powder formulas but I've been looking for a lighter base and that does sound like a nice one! 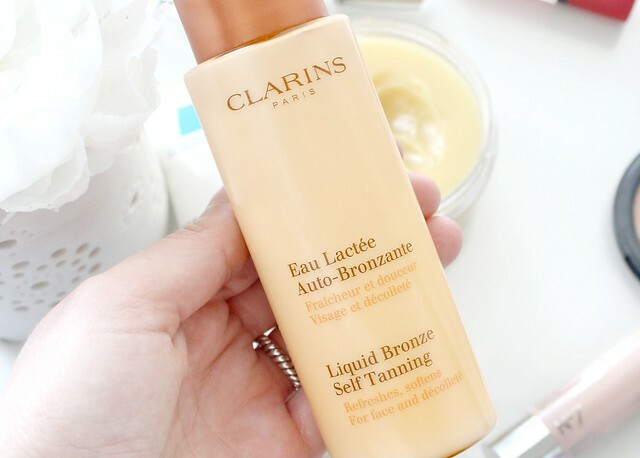 I have never heard of the Clarins liquid bronze self tanning before and I like you I feel the need to have a bit of a tan before I bring out my summer clothes so I'm definitely going to look into that product! Really want to try the new benefit base! The Clarins self tan is one of my favourite products, it's the perfect colour and it's just amazing. I really want to try the No. 7 Highlighting stick! I like the sound of it, the fact it's got no glitter is brilliant. So many good products featured here! I love the clarins liquid bronze! I would love to try the NO7 radiance stick! 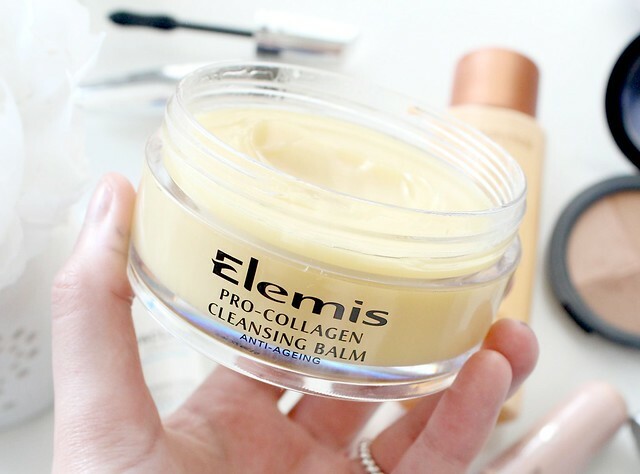 I have reviewed the EH cleansing balm over on my blog! 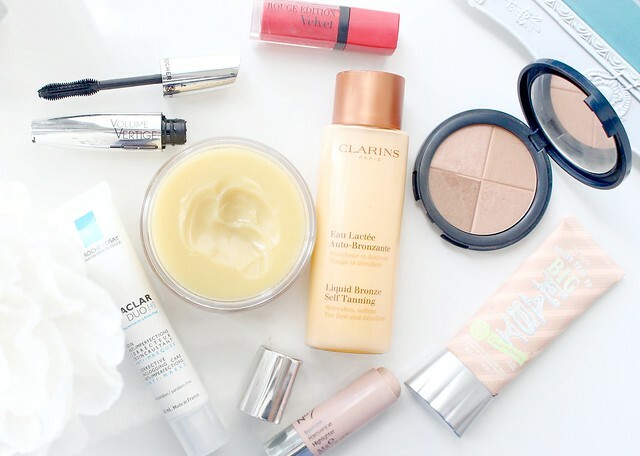 So glad i seen this post, i'm dying to try the Clarins Liquid Bronze! Love the look of the highlighter and the yves rocher mascara!! Clarins Liquid Bronze has been on my wishlist for so so long, think it's time to just go for it as it souds lovely!! I adore the Bourjois lipsticks, they have nearly overtaken my beloved MAC. The mascara sound good too! I really want to try the Liquid Bronze Self-Tanning. I've heard so many great things! 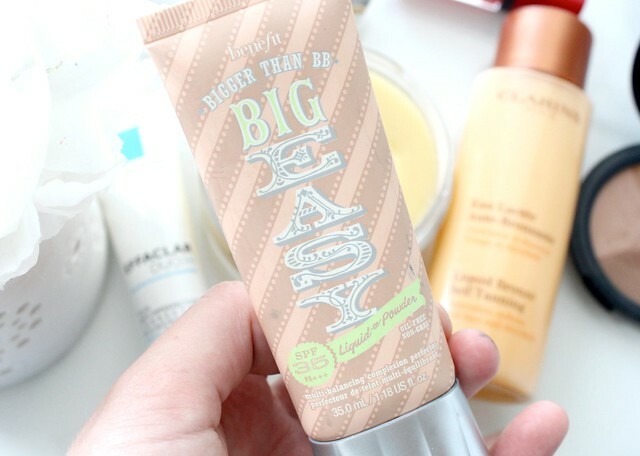 I'm always looking for a nice BB cream, will have to try the Benefit Big Easy! Totally agree with you on the Benefit Big Easy! It's fab for those days when you don't feel like wearing such a heavy base. So natural looking! Good Article in pleasant atmosphere.Keep writing same as subject.